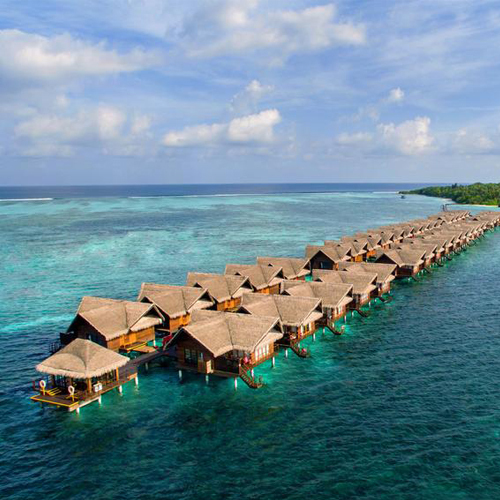 Adaaran Select Hudhuranfushi is another exceptional offering by Adaaran. 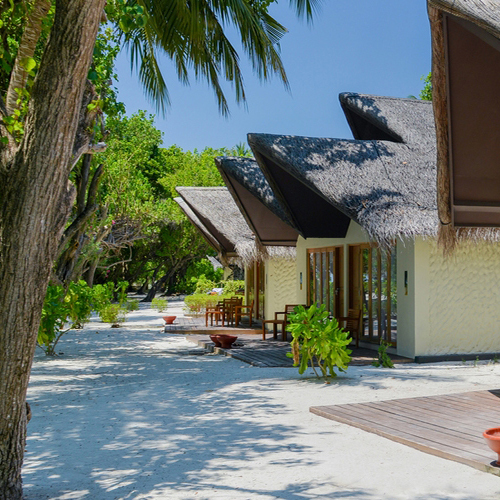 Set in 83 acres of lush, tropical beach near Kani Beach on Lhohifushi Island, Hudhuranfushi is blessed with thriving vegetation and pristine waters. The resort is a 30 minute speedboat ride away from the main island. 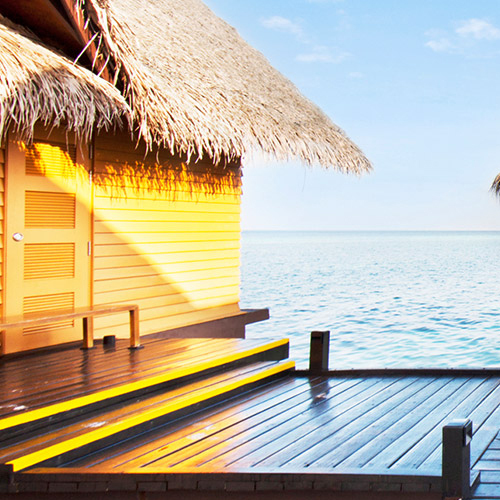 With tropical sanctuaries that include everything from beachside hideaways to ocean villas above turquoise waters, each of the unique living spaces let you experience the luxurious bliss of island getaways. Hudhuranfushi is a surfers paradise. 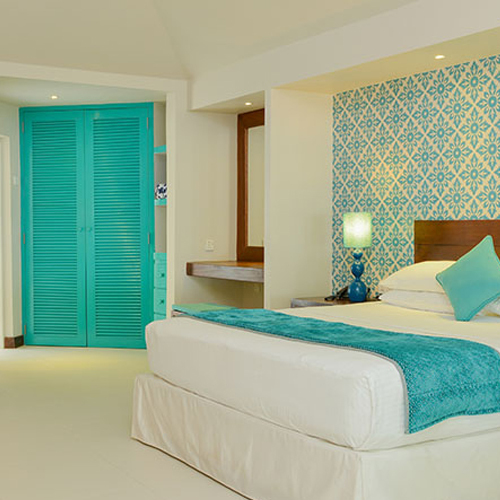 Thus it has it's very own surf-breaker, and villas specifically made for the surfers. Surfing equipment is available in the island itself and you can enjoy your surfs during the day time. 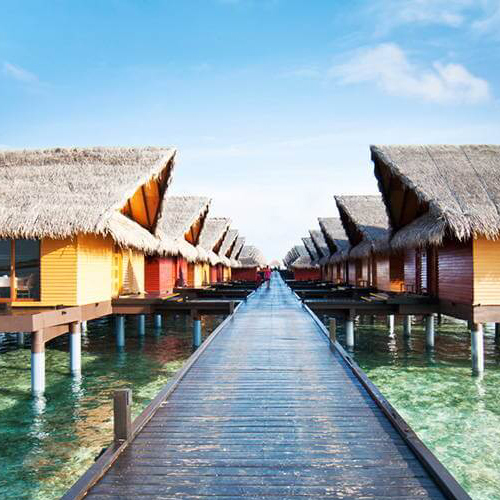 The resort also offers multiple villa categories, including water villas. Chavana Spa is a great place to relax and enjoy a great Balinese massage. A large swimming pool and a tennis court is also available for the guests. International buffet spreads are served at the main restaurant, while the outdoor Sunset Restaurant offers candlelight seafood dinners and a fine selection of wine. Alcoholic and non-alcoholic beverages could be enjoyed at Lohis Bar and Hiyala Bar.